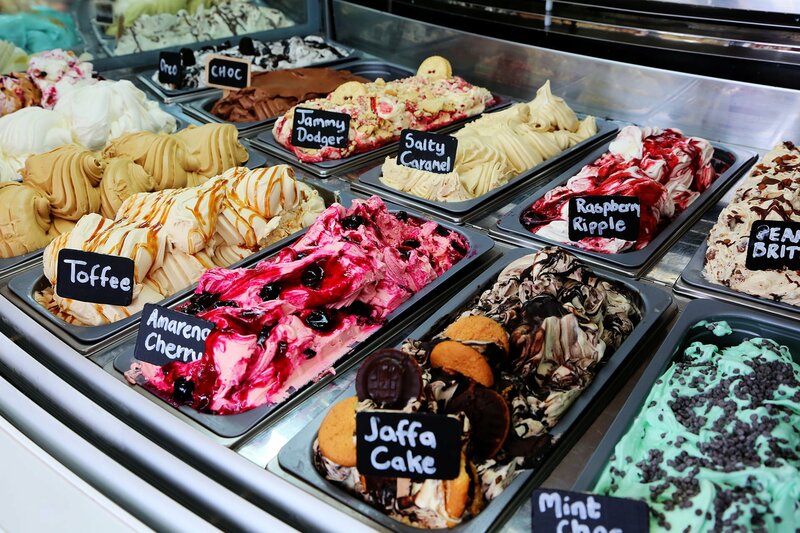 You can enjoy a ravishing range of cool gelato ice cream and fruity sorbet made onsite, in our Gelato Kitchen, hot crepes and waffles, delicious Mac and Cheese, paninis, soup and toasties, yummy cakes and locally roasted gourmet coffee. 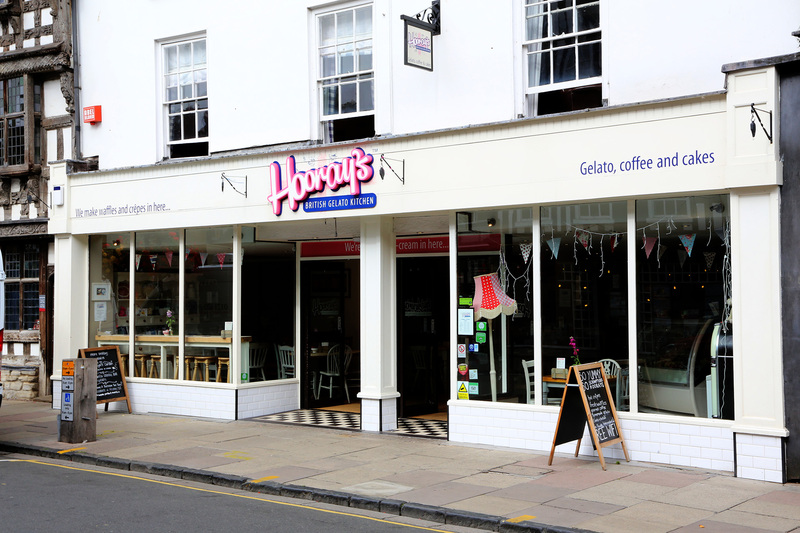 Located on the High Street in beautiful Stratford upon Avon, Hooray’s has got something for everyone, plenty of seating downstairs, as well as the Lounge and Bar upstairs which double as event rooms. Not to mention the children’s corner and the Secret Courtyard! You can now keep some of our delicious gelato in your freezer at home!! 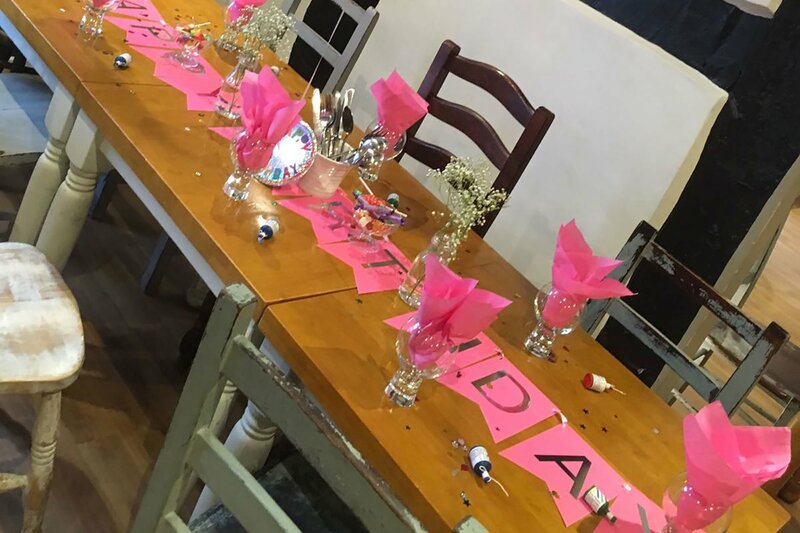 Any excuse for a Hooray’s Party!! 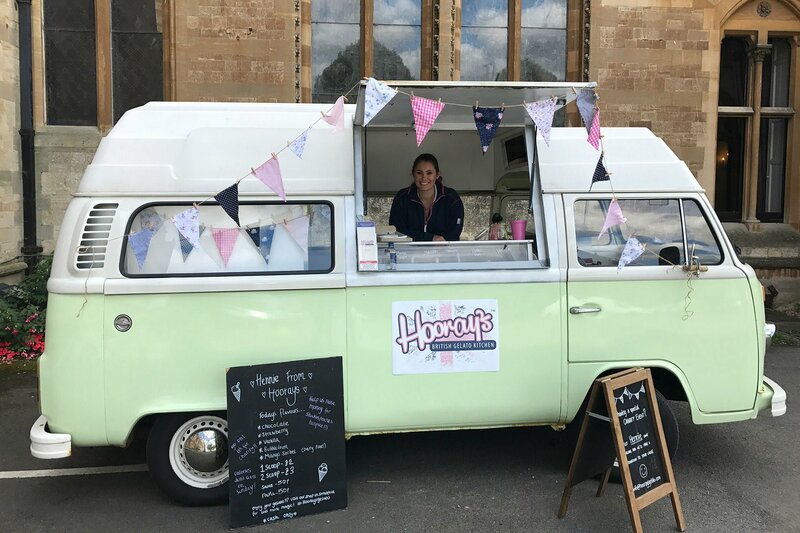 Hennie would love to come to your event, bringing with her a touch of vintage beauty and of course delicious gelato ice cream and sorbets! For information about hiring our vintage VW van, please email us.